Hello guys! We’ve just finished updating our plugin flagship: AIT Languages. Many of you have been waiting for this update for quite some time and we’re super excited that we can finally release it. So, what did we change? Visually it aligns it back with the rest of the admin interface of the WordPress itself; it was our goal to make it all look the same. There have been multiple bug fixes and small improvements and updates. AIT Languages plugin is now up to date and that allowed us to include a full compatibility with WooCommerce – yes, now you can translate products of your e-shop, for example. This was achieved by integrating ‘Hyyan WooCommerce Polylang Integration’ plugin into our own, so you don’t have to bother yourself with the installation. If you have any questions about the Hyyan plugin, you can find more information here, or drop us a comment below. Note that you’re required to set the language inside the URL rather than leave it to be set from content. This is because the URL modification method ‘The language is set from content’ is not yet supported. This will change all the existing URLs as well, because they’ll now include the language, for example: ‘/en/wordpress-themes/eventguide’ instead of ‘/wordpress-themes/eventguide’. But don’t worry, the plugin will make sure that your old URLs are properly redirected to the new ones automatically, so SEO should not receive any damage. On the top of this, AIT Languages plugin is working nearly identically as before. We’ve added some additional settings option (in AIT Languages -> Settings): option to allow the translation of medias, turn on and off the translation of Custom Post Types and Custom Taxonomies as well. 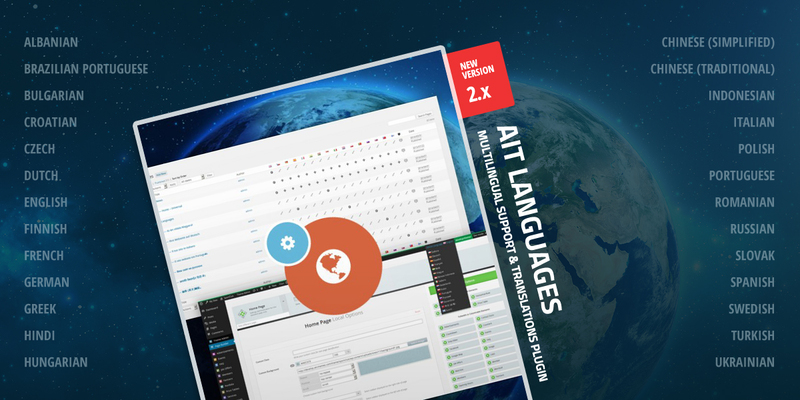 So AIT Languages plugin is packed with neat content right now: 26 languages for our Translated & Multilingual WordPress themes and all plugins, our special custom tweaks for the admin interface and built-in WooCommerce Integration Plugin. And one more thing, guys. AIT Languages will always stay up to date. Click here for detail Ait Languages plugin presentation site. 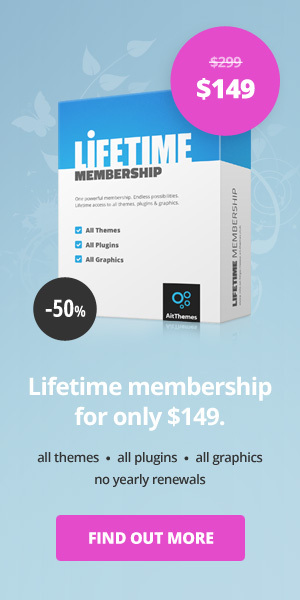 It is available as single product or under the Premium Membership. Thanks a lot, guys! Enjoy the new update. thanks for coming back and your feedback with nice and interesting idea. We have considered it and made decision. In fact, it is all about the priority. Estimated time of arrival: in the middle of the next year. Thanks for full compatibility with WooCommerce! Now I don’t know how I went without this plugin before!